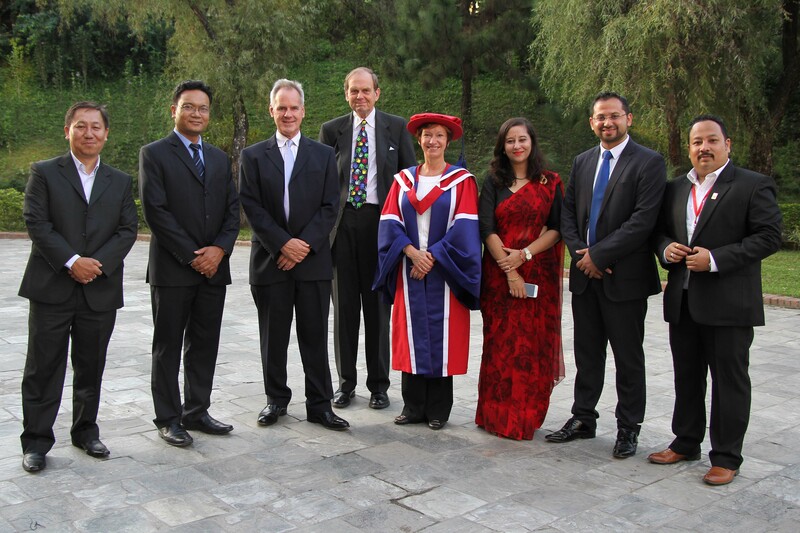 In September Associate Dean in External Engagement Fiona Jordan visited our partner college, The British College (TBC), in Kathmandu, Nepal to take part in their graduation ceremony. 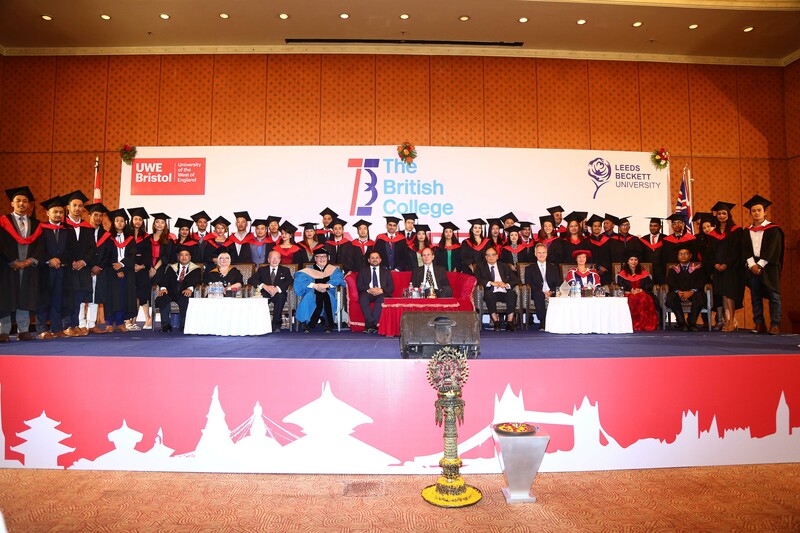 42 students were awarded their UWE BBA (Hons) Business Management degree during the ceremony which was conferred by Fiona. The remaining 10 students who graduated this year attended the UWE Bristol ceremony in July. The accomplishment of these students is particularly impressive given that their studies were affected by the catastrophic earthquakes that struck Nepal in 2015 and the on-going problems with infrastructure being experienced there. Staff and students in Nepal expressed their gratitude to colleagues at UWE Bristol for all their support throughout what has been a challenging time. The ceremony was attended by members of The British College advisory board including Lord Sandwich, The Earl of Sandwich and Paul Cleves MBE, CEO of Foodlines and Founder of Saigon Children’s Charity. 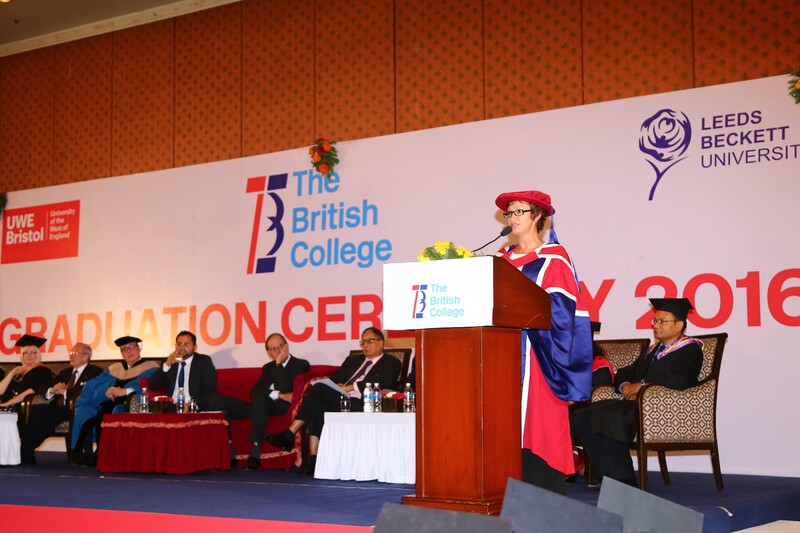 The British College was established in 2011 and has grown to be a unique educational institution, making international education accessible to Nepali students. There are two UWE Bristol awarded degrees at The British College, BBA (Hons) Business and Management and MSc International Management.